This is the third installment of a series we’re calling “Conversations.” It’s more of an interview series, where we ask our vendor partners questions about their experiences working directly with artisans around the world. You may not know it, but every product we carry has a team of people who are dedicated to doing trade on the fairest terms possible. Fair Trade is about transparency and creating a dialogue – we hope this series shines a light on some of the struggles artisans are faced with and also some of the positive changes that have come out of their fair trade partnerships. We caught up with Kelly Weinberger, founder of WorldFinds, a fair trade company working with artisans in India and Indonesia who craft fashionable, and eco-friendly jewelry and accessories. We’ve worked with WorldFinds for many years and love hearing stories about the difficulties they and the artisans face and their progress. Kelly just returned from her spring artisan visit, so let’s get right to it! 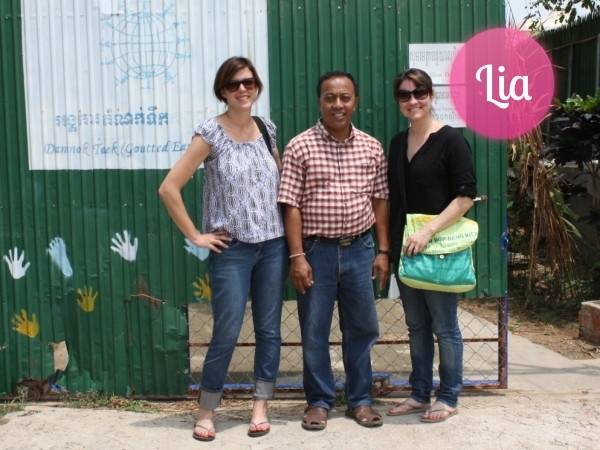 How often do you/your team have the opportunity to visit the artisans? We try and visit our artisans in India pretty regularly. We typically go once or twice a year – I’ll usually go in the spring, and Stephanie our designer will typically visit in the fall. The visits are pretty crazy – we maximize every second we are there with super packed agendas. Sometimes our purpose is to discuss a larger order that has come in, sometimes we hold quality workshops with the artisans if we have noticed something specific that needs special attention. We are constantly working on new designs, and it always helps to be there in person to go over new techniques and new concepts, and source new materials – ideally recycled or repurposed. We visit the artisans in the outer villages a lot to see their progress, and to also bring badly needed supplies to the children. Then we work with the management teams on any of the larger picture issues – community initiatives they’d like us to partner with, changes and developments since our last visit –in India there are always tons of new things happening. We discuss the state of fair trade in India and if the groups are overwhelmed with orders or down from the year before. It’s really amazing how much has changed in the 15 years we’ve been doing this! 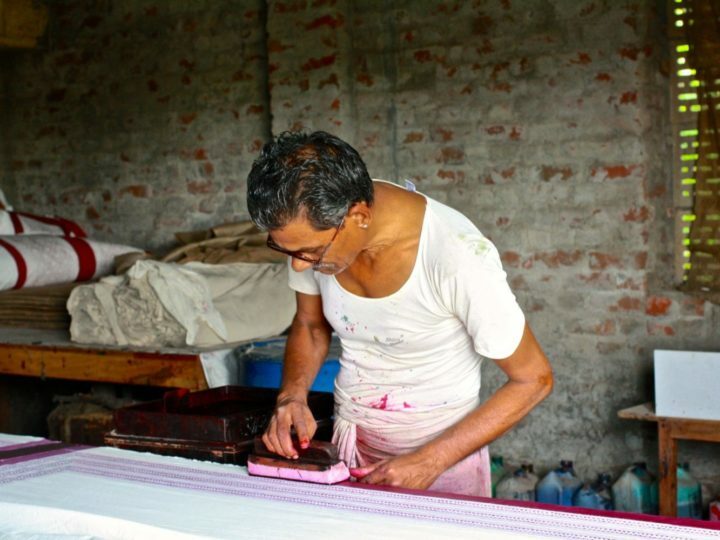 Do you have a story to share about an artisan or artisan family? There are so many wonderful stories of artisans beating horrible odds and really challenging environments to find stability, dignity and hope after becoming part of a fair trade group. Some stories are really just so devastating that it’s hard to imagine anyone coming out on the other side. This is a true testament as to how resilient the human spirit is. 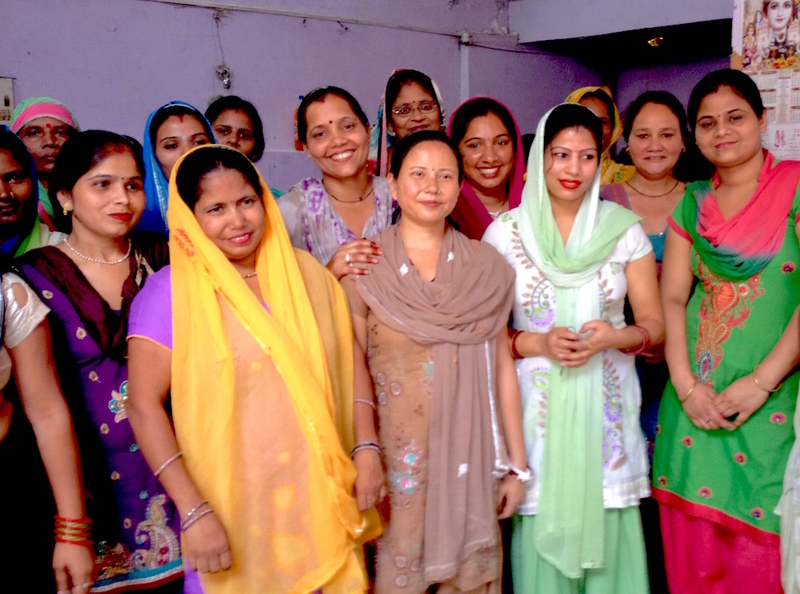 One of my favorite stories is really just sweet – I was visiting one of our artisan groups in the village of Sultan Puri, way outside of New Delhi. One of the women asked if I wanted to come to her house and meet her family, and she would show me where she would make our cuff bracelets. Her oldest daughter was nearly eighteen, and would sometimes help her make some of the bracelets in the evenings. She was finishing up secondary school thanks to her mom’s wages, and her dream was to go to beauty school so she could open a hair salon one day. She was very stylish and rather talented, and often practiced her skills on her youngest sister, who was sporting a very modern hairstyle. The father seemed very humble and kind, worked as a security person at night and as his shifts had changed was not able to earn much money. 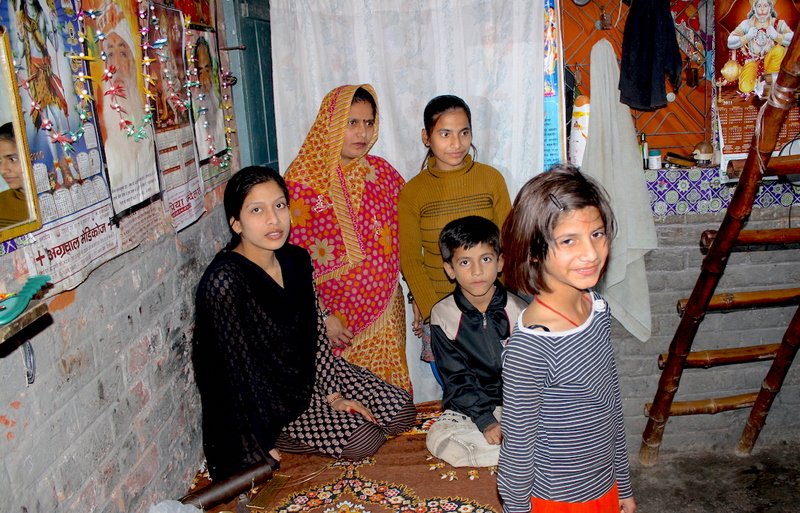 He was very thankful his wife had found the self-help group and was able to make jewelry and earn fair wages to support their three daughters and son in their education. This situation is rather the exception but their little family was so happy and supportive of each other it just makes me smile whenever I think of them. What kind of positive changes have you seen occur in the communities/families that you work with since you founded WorldFinds? 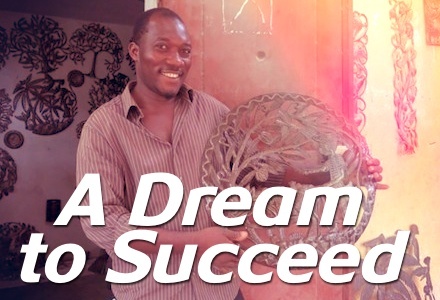 There has been a huge amount of positive change in our artisans lives and communities. Paved roads! Access to clean water! Women working in safe workshops or their homes instead of amidst construction vehicles and precariously-balanced piles of bricks. The changes just keep happening – they aren’t always at the pace we would like to see but they are moving forward and we can see how fair trade is working. What is one difficulty that you or the artisans have faced? 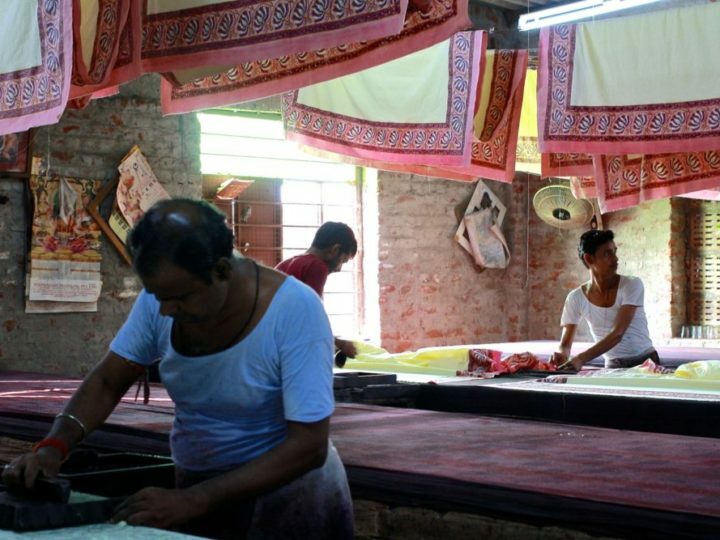 The economy downturn starting in 2009 had a big effect on the artisan groups. Not only was the US down, but their European buyers also slowed down orders. We did all we could to get as much work as possible to the artisans during this time, but some had to find part time work doing other things until the orders began to increase again. Thankfully things are finally feeling more stable and we’ve been able to keep our current artisans busy and also take on new artisans and more groups. We are mindful of this all the time and hope that the growth of fair trade, and more consumers being more conscious in their purchasing means it will be awhile before we have to face this again. — Thanks to Kelly for taking the time to answer our questions, and for the work she does connecting talented artisans to stores like ours. We know the work she, and everyone else at WorldFinds, does is in full commitment to fair trade and the fact that they’ve been working with the same artisans for 15 years is so inspiring! WorldFinds is fair trade in action at its best!